Today was the launch party for Haven by Kristi Cook at The Voracious Reader. The store was packed! Goodies were served (petit fours, punch, even sushi! 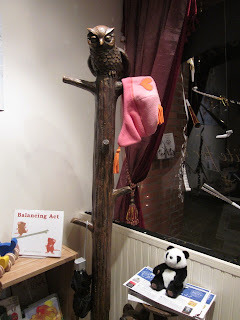 ), swag given out and the bookstore had the same welcoming atmosphere that I remembered from last time. If you are ever in Larchmont, NY, I urge you to visit. I was happy to see a few faces I recognized, Maria from The Serpentine Library, and Demaris brought more of her pals from Good Choice Reading. After Kristi chatted with people, she read an excerpt from Haven. She made sure to thank her family, her editor Jennifer Klonsky from Simon Pulse, and the bloggers who attended from all over. Kristi mentioned that bloggers were her cheerleaders and really appreciated them. We appreciate you too Kristi! Writers who are so approachable are important for many reasons. So please keep writing! I haven't read Haven yet, but I've been hearing positive feedback. I'm looking forward to it for several reasons, one of them being that it takes place in the Hudson Valley! Scroll down for a few pictures and giveaway. 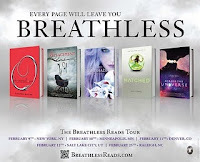 To Celebrate Kristi's launch, I'm giving away a signed copy of her book Haven. Please tell me if you could have one psychic ability what would it be? Please leave you e-mail address in your comment. No comment = no entry. If I cannot contact the winner within 72 hours the next winner will be chosen. 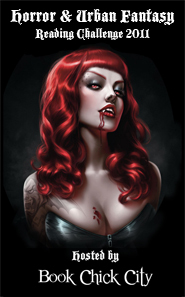 Welcome to the first installment of Vampires at Midnyte - A collaboration, a discussion, a dialogue, between two bloggers - Angie at Vampires at Tofu and myself, Midnyte Reader. 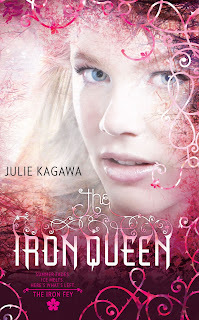 Title/Author: The Iron Queen by Julie Kagawa. MR: “I am a cat.” –Grimalkin (same favorite quote as in The Iron Daughter). “I don’t see how you mortals do it, these feelings you must endure.” –The Oracle. V&T: Agreed!! Grim is right behind Meghan as my favorite character. And I imagine my two cats saying this all the time now. V&T: I enjoyed this one too, although I have to admit I didn’t love it as much as the first two. MR: The final book in the Iron King series left off where the second one ended. It took a direction which I really didn't see coming. For some reason, I thought that it was going to be mostly about Ash and Megan in the human world. However, they quickly return to Faery in order to save it from the infiltration of the Iron Fey. I thought the end was interesting and also a bit of a surprise. However, The Iron Queen left me a little frustrated. I think some of it has to do with some of the characters and some of it was my expectations. I thought that certain plot points would have more impact and I also felt that the plotline was too similar to other stories I’ve read before. V&T: There wasn’t as much magic for me in this one. I think it’s due in part to so much of the story taking place in The Iron Kingdom. I used to play World of Warcraft, which is a visually AMAZING game. There’s this one area in the game called Ironforge and I used to hate having to go there for quests because everything was so…well, iron and forges and steam and mechanical monsters and it held no appeal to me. I preferred the lands where the scenery was beautiful and breathtaking…it was much more fun to play there. 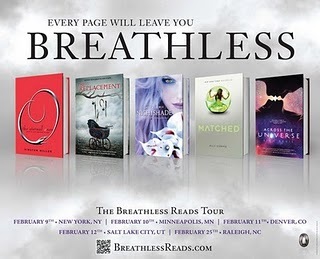 And it was much more fun to read about the parts of The NeverNever that were beautiful and breathtaking as well. The ending was a surprise for me too, but I did find it satisfying. I really expected more of the story to take place in the mortal world as well. Since the world of Faery depends on the dreams and beliefs of mortal man and that’s why the Iron Fey came into existence, I thought something would be done in the mortal realm to rekindle man’s reverence for nature and not just technology. Or at the very least that something would be said about people caring about the environment more now and how that’s helping the Wyldewood survive. I just didn’t get how this could be a battle fought entirely in the land of Faery. MR: Yeah, I guess it seemed like the Iron Kingdom almost had more in common with our world, because we are so dependent and immersed in all things iron and technological. I think you have a great point being that is how the Iron Fey came into existence in the first place. 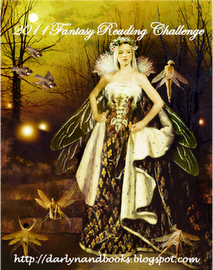 The book did stress that if Faery fell apart the human world would not be far behind. So I guess one of the ideas of this trilogy is that technology in the human world will not cease, so the NeverNever in Faery, which is purely magical, has to find a compromise with the Iron Kingdom and vice versa. V&T: I’m really hoping to see more of how that plays out in the mortal realm in the next book! MR: My hope is that she’ll include some of that. 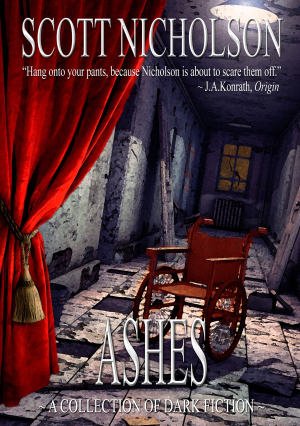 MR: What I like best about this book is the relationship between Ash and Megan. It grows more and there are some interesting developments. Megan is more likeable and she takes her responsibility seriously, shows maturity and character. Perhaps it was because she was secure with her relationship with Ash and his feelings for her or maybe it was because she grew up. I looooved Ash in this book. He is still moody and stoic yet we see more glimpses of his character. I liked Puck less in this book. He is very petulant and he sneered over and over and over. I feel it was a bit overkill. However, he does of course, redeem himself. Again, I loved Grimalkin. Maybe more so in this book. I also liked a few other characters that came to Megan’s aid, like Razor. He reminded me of a hyper, tiny robot. I also liked the Clockmaker and his riddles, but really, I didn’t see what the riddles did to move the plot along. V&T: I know this is gonna put me in the minority, but Ash was my least favorite character. This time around it felt like he was defined solely by his love for Meghan and that made him a little boring for me. I would have liked to see him care about something else in life and be a little more of his own person. Meghan was my favorite character. I really liked her strength, growth, determination and how her values have stayed consistent throughout the trilogy. Ok, I’m not gonna say anything more about Ash, I don’t want anyone lobbing any virtual tomatoes my way! I completely agree with Midnyte about Puck. I was always a team Puck girl myself but I didn’t really care for him much for the majority of this book. “Petulant” is the PERFECT way to describe him! MR: Hmm. That is an interesting point about Ash and I can definitely see how you would get that. But on the other hand, she was his world at that point. He had made his choice of true love over duty. His family didn’t give him what Megan did. I also felt I saw some redemption in him. He loved someone once before and he made the decision that he was going to do everything he could to keep the love he found again. He revealed other past actions to Megan so she could understand the kind of person he is or rather the person he was. Yes, he stepped up to defend Faery because he was following Megan’s lead, but I do feel he contributed his own passion to the battle because he wanted to save Faery as much as she did. Speaking of which, I have to add that I’m really hoping there will be a lot of Ash/Puck interaction in The Iron Knight. I love their moments together and their friendship/rivalry. MR: Ha. That made me laugh. Yes, I do agree that a man who is so devoted to you can get…tedious? Annoying? But it just didn’t bother me that much. Perhaps because I felt his personality shone through. And yes, I think Ash and Puck are a great foil for each other! Their relationship is almost a microcosm of the Fey world and the precarious balance that exists there. Summer vs. Winter. Can’t live with each other, can’t live without each other! This is just one of my quirky pet peeves, but I do wish the book didn’t reference popular culture movies for descriptions. Instead of telling me that things were like Lord of the Rings, The Terminator and Star Trek, just describe it…or leave it out. I did love the descriptions. I also like how the author used more Celtic lore in this book, with references to Summer Magic and Fomorians. V&T: I loved the descriptions as well, that’s really one of my favorite aspects of Kagawa’s writing. There were many scenes that played out like a movie in my head and were downright epic. 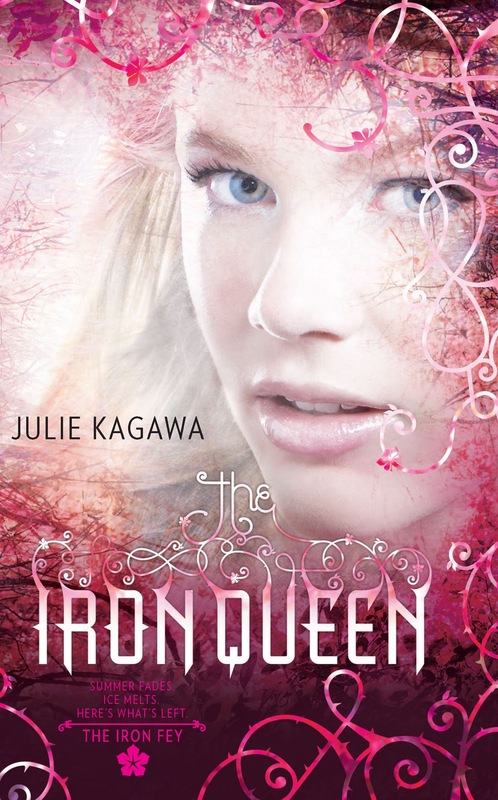 MR: Even if you didn’t read the first two, I think someone would still enjoy The Iron Queen. The ending was bittersweet but hopeful. V&T: All in all, a solid third installment in the Iron Fey series. I’m looking forward to The Iron Knight and to finding out how everything wraps up! MR: 3 3/4 out of 5 stars. V&T: 4 out of 5 stars. One thing I love more than discussing books is discussing books with other book lovers. Hearing other points of view, insights and opinions is exciting and fascinating to me. 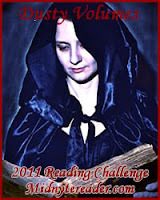 One of my favorite blogs is Vampires and Tofu because of Angie's perceptive posts. I hope to have more discussions with her in the future. I'm over at The Unread Reader today for her feature When I'm Not Reading! 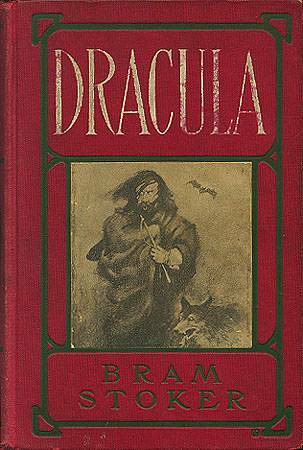 Title/Author: Dracula by Bram Stoker. 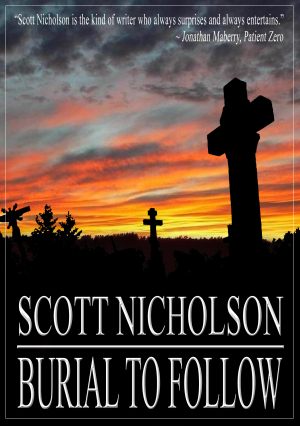 Source: Already owned/Free download for Kindle. Favorite quote: “What terrible things there are in the world.” - Mina. “It’s in trouble and trial that our faith is tested.” - Mina. “…death has some antidote to it’s own terrors.” - Van Helsing. “Listen to them - the children of the night. What music they make!” - Dracula. All in all: Although the journal entries were sometimes very long and overly detailed and I had a few unanswered questions throughout the story, I really loved Dracula. Classically creepy. My Thoughts: I did it! Finally! After all these years, I read Dracula! It took me a long time for several reasons. First of all, the font is small in the book I own, which made it difficult to read. 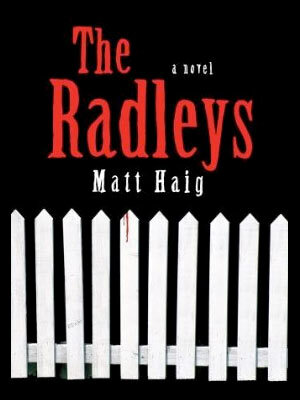 Then I downloaded it on my Kindle and that was better, but I was also reading other books at the same time. Another reason why it may have taken me so long is the way it is written. In today’s world, we are used to fast paced novels while Dracula is detailed, the writing old fashioned and the dialogue long. The different style, the sometimes plodding pace, the archaic words such as “bestrewed” and “perforce” forced me to slow down, but it also helped me immerse myself in the story. 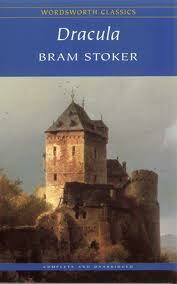 Stoker never visited Eastern Europe, but within the first few pages it is clear he did his research. The food, the garb and the landscape of Romania are so detailed, that although it is a bit tedious to get through, I really got a feel for the country. I visualized the imposing mountains and their dark shadows. 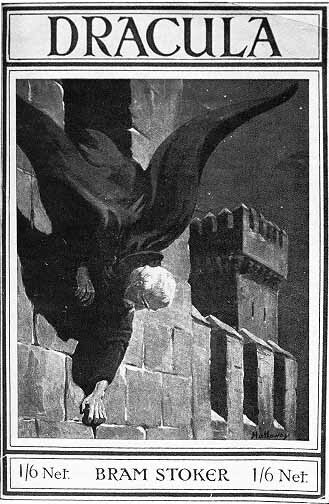 As I read about Jonathan Harker's journey to the castle, I heard foreboding music accompanied by howling in my head. I don’t know if seeing so many movies let me imagine the story better, but it was very vivid in my mind. There is a sense of wonder when you travel to a place where you don’t know the language, but also one of unease. The fact that Harker is a foreigner gave him more distance from his surroundings and made him more vulnerable. After getting through the first few pages of exposition and Jonathan’s journey to the castle, it got juicy. 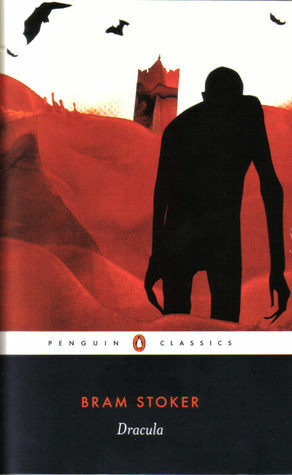 The novel Dracula is much more messed up and scary than any movie version I’ve seen. I had a preconceived notion because of film and television, but the book is different and I feel like I discovered a new story, or rather learned the true story. 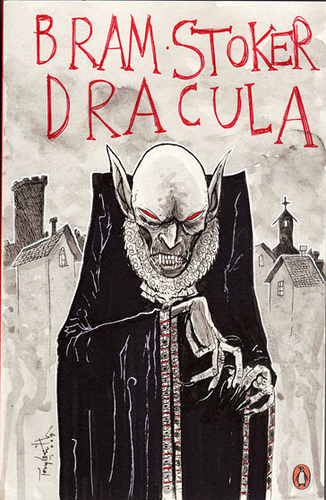 When I told people that I just finished Dracula, they exclaimed, “That was a scary book!” I have to agree. There were quite a few OMG, eye-widening, heart pounding moments. Stoker drew out the tension and he created beautiful atmosphere. Dracula is told in journal entries and letters throughout by Jonathan, Mina, Lucy, Van Helsing and Dr. Seward, creating personal accounts that provides a window not only to their viewpoints but their attitudes, hopes and fears. I like Dr. Seward a great deal. He is melancholy and thoughtful. His character seems to reflect his difficult, gloomy work and the depressing asylum. Dr. Van Helsing is interesting, eccentric and sweet. He views his friends almost as if they were his own children. (But I couldn’t help but hear Anthony Hopkin's voice when I read his dialogue and journals.) To me, Jonathan was a bit braver than many movie versions and Mina seems to be the glue that holds the group together. Although Quincy and Godalming have no journal entries I still saw their heartbreak, bravery and compassion through the observations of their friends. Now, onto Dracula himself. Bela Legosi made him iconic and a template for all other Draculas. For all other vampires really. This image changed and morphed and created offshoots of the “friendly” vampire, the “hot” vampire, the self reflecting vampire with a conscience. However, the physical description of Dracula is very different than the handsome brooding men who have portrayed him (although he can change his appearance to fit in more easily to society). Dracula is also much more evil than I expected. He is a sadist. He is cunning. He is diabolical. My favorite character is Renfield. Poor, crazy, damaged Renfield! He’s being used by Dracula and he is a clue right under the protagonist's noses. I like him because his behaviors are so disturbing and frightening and there is almost no figuring him out. During his short period of lucidity he shows grace and regret, which make him even more tragic. But it is during his spotlights into madness that he is the most compelling. What struck me the most about Dracula is the friendships. To me, that is the underlying theme. 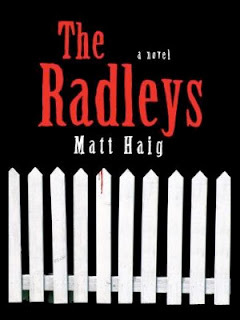 The characters band together to defeat an evil threat, which is the basis for many horror stories. They trust, support and hold on to each other. They are devoted to their cause and in turn devoted to each other’s well being. The loss of Lucy brings them together and binds them. When Mina is in jeopardy, instead of turning from her in fear, they re-double their efforts. And while their first intention is to rid their lives of this enemy, they know they are also saving mankind and are willing to sacrifice their lives for this mission. Their courage and tenacity is inspiring. 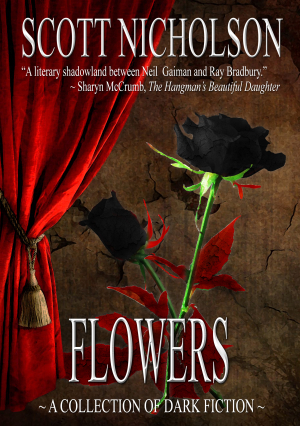 It’s been very daunting to write about this novel, because I mean, it’s Dracula. What can I say that hasn’t been said already? 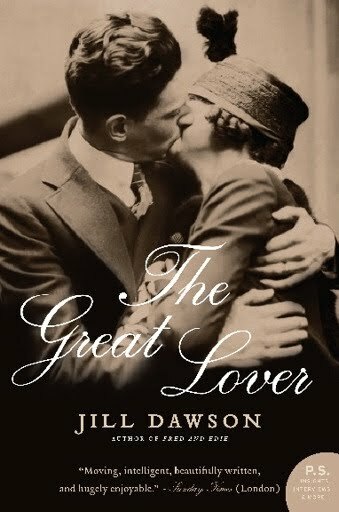 There is so much to discuss, analyze and learn about this novel, about the author and how it has influenced our culture. There are essays and books about the book itself! It was fascinating to finally sink my teeth into (ooh that was bad, yeah?) read this classic. I feel as if I have at last been indoctrinated to the mystery, mythos and beauty that is Dracula.